These are my Favorite Money-Saving Tools that I use to save every big single month! Ebates for shopping online and Ibotta for shopping at the Grocery Store. They are easy to use, take seconds to sign up and right now you can get a cash bonus just for trying them out! Winner! Finding ways to save money on Thanksgiving dinner can be a game changer this holiday season. There is nothing I love more than gathering around the table with family and friends but if you are not careful this one dinner can wreck your grocery budget and quick. Over the years I have learned a few tips on how to save money on this big meal and today I am going to give you my top favs. Thanksgiving dinner is such a great holiday. It is simply a perfect day of family, food and football all rolled into one. Sure, the pretty table covered in an array of delicious foods is wonderful and also the centerpiece of the day, but all the planning and cost behind the meal can take some of the enjoyment out of the fun. If you are one of those people that get a bit stressed out over this holiday especially if you are trying to pinch pennies then having a plan may be the game changer you have been looking for. Listen, Thanksgiving dinner is not cheap, but luckily there are a few things you can do to make it a little easier on the wallet. Tip #1 Write out your menu. You will want to list everything out you are planning on making that day. From the appetizers, all the way to the desserts write it all down on paper so you know exactly what you need. Don’t forget the snacks, drinks, and appetizers as well. If you have guests attending, now is a great time to ask them to bring a dish. You can either choose for them or ask for their input steering them towards a certain area of the meal. As your lists grows, keeping track of what your guests are bringing, will help to avoid being too heavy in a certain area like having too many desserts for example. Next, to each dinner item you are responsible for, list any of the key ingredients you will need. This will ensure you have all the items on hand the day of cooking limiting any last minute runs to the stores. Be thorough so you can relax knowing you have all of your bases covered. Tip #2 Make your shopping list early. I suggest making your list early, preferably before the end of October. 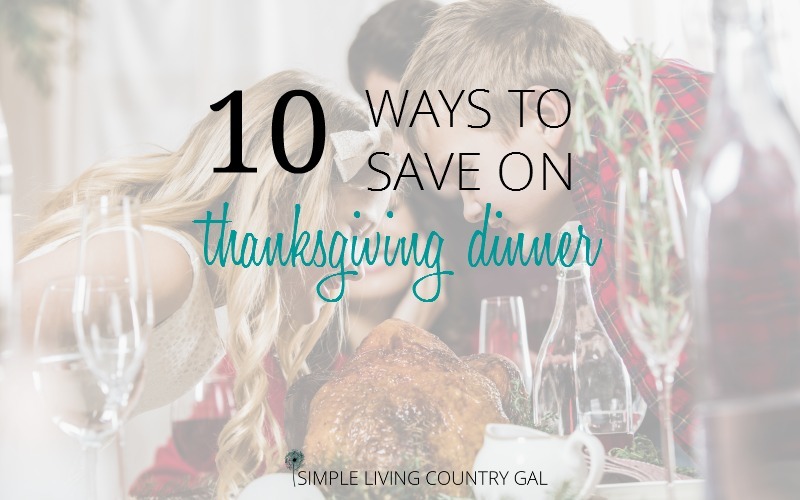 The goal here is to save money on Thanksgiving dinner and the best way to do that is to buy ONLY what you need for the dinner. Refer to your Thanksgiving Day menu and take a quick shopping trip to your freezer and pantry. Check off any items you have on hand so you do not double buy when at the store. Don’t forget your turkey bags, napkins, decorations, and any other items you may need above and beyond your normal ingredients. 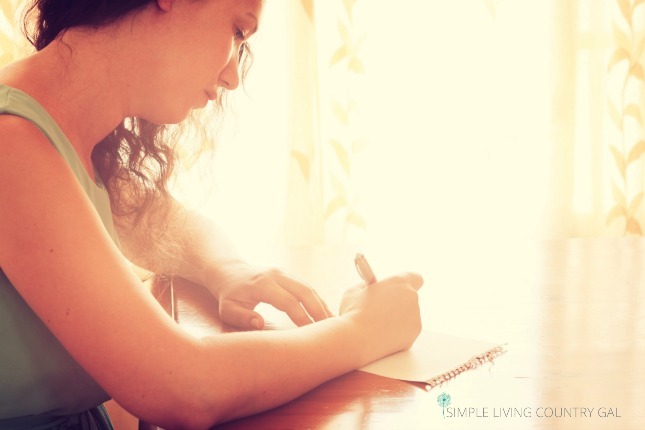 Get a master shopping list ready and keep it handy to add items to it as you think of them. Tip #3 Begin your Thanksgiving dinner shopping in November. I know, I know, normally, I tell you to do your shopping early and a little at a time so as not to strap your monthly food budget. Up here in Northwestern Pennsylvania they do insane turkey sales. Usually, the price can be anywhere from .19 cents a pound to .29 cents a pound. It is not uncommon to find 20lb turkeys for less than $4.00! It’s because of this I like to purchase a few extra turkeys to get me through the entire year. If you are on a food budget I suggest you set up a thorough food plan so you can get as many turkeys as you have room for. Think about the savings opportunity here. One turkey for less than $4.00 can feed your family for an entire week. Do the math on that baby and see if you are not excited! So, what do you need to do in order to get such cheap prices for your Thanksgiving dinner? You need to make minimum purchases. A minimum purchase is simply the least amount you need to spend in order to take advantage of a sale. So if the minimum purchase for a store states $25, then you will need to spend that BEFORE the purchase of the turkey is added on. Each store is different but most will hover around $25-$35. And this is the reason I want you to save your shopping for the last minute. Not only will you have plenty of items to purchase in order to cover your minimum spending amounts, but the stores usually put everything (and I mean EVERYTHING) you will need for your meal on sale in November. Not sure if the sale price is the best price? Then you need a price book to completely cover all of your money saving bases. 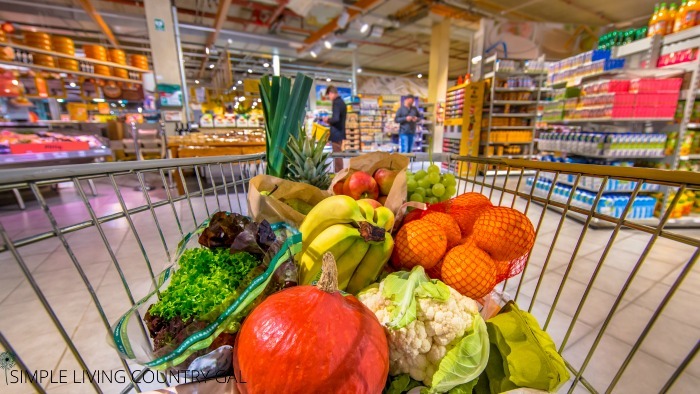 You can read all about how to set one up and save hundreds on your monthly grocery bill here. Tip #4 Watch your store flyers for the big sale! We have about 4 different grocery store chains to shop at. Most of our sales stipulate that you can only purchase one turkey per family. So, I usually visit 4 stores each November to get all my turkeys for the year. Ninja Tip: If your stores state only one turkey per family or one turkey per shoppers card, then you may want to call on a friend or family member to use their purchase if they do not need to host Thanksgiving dinner this year. You might just be surprised at how many people do NOT purchase turkeys. To keep organized you will want to break your list up by store depending on what the sales are for any other items that you have on your list. This part does take some time, I’m not going to lie, but trust me it is totally worth it! Ninja tip: Heads up my grocery shopping ninja!! Most stores will match prices, so if you find whipped cream for 89cents at one store you should be able to get that amount matched at another. The goal here is to keep each trip at the bare minimum required for the discount. Make it a game! You want to try to complete each shopping trip for as little as possible sticking as close to the minimum amount required for each trip. Teach those grocery stores who exactly is boss! Tip #5 Shopping day is here, gather all of your supplies so you are organized. To keep things incredibly organized, write each store’s list on a large business-sized envelope. Inside of each envelope, tuck your coupons needed for each store. Ninja tip: Put a “*” next to each item on your list that you have a coupon for. This will remind you that you have a coupon inside so you do not forget those extra savings. Each envelope is then paper clipped to that store’s specific sales flyer so I am all ready to go. At the top of each envelope make a note of what your budget is for that store. This extra step will just help you to stay on track once inside. Remember the goal of the stores here is to get you to purchase impulse items. By having a thorough and organized list you will be able to buy only what you need and nothing more. 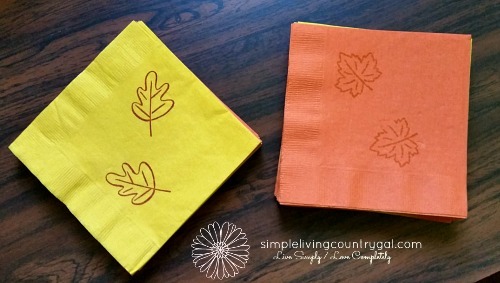 Tip #6 Make your own Thanksgiving dinner napkins. You’ve all seen them. The super cute turkey napkins that double as decorations. You can usually find them in both large and small sizes at just about any store. Heck, even the drug stores have them front in center tempting you to buy at a grossly exaggerated price. Hey, don’t get me wrong, I love those napkins as much as the next girl, but there is no way I am paying what most stores charge. A simple solution is to make your own. And don’t worry, absolutely no crafting skills are required to do this tip! All you need are 1-2 leaf stamps and ink that you can use to fancy up my plain paper napkins. I purchased a large pack of yellow and burgundy napkins about 4 years ago and have been using them ever since. You really do not need many for the dinner itself. They are more for looks than use anyhow since the texture is not so wonderful when you are eating a huge meal. The cost of that pack of napkins was $8 in total and they got me through 4 years so far. If you compare that to the $3.99 most stores charge for this tiny little pack of napkins with gaudy cornucopias and I think you will agree this is a better way to go. 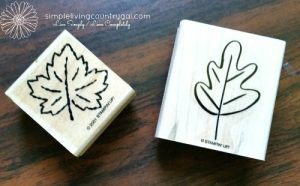 Sure you do have the initial cost of the stamps and ink, but if you like this approach you can do it for just about any holiday throughout the year. Christmas, birthdays, Easter, 4th of July, I could go on and on!! Ninja Tip: Get your kids or grand-kids involved by having them make the napkins this year. Stamps and ink are all you need to put a fun family touch on this year’s dinner table. 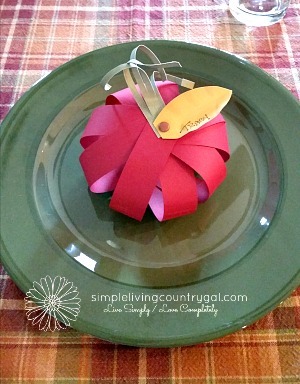 Tip #7 Make your own place settings. This is one of my favorite parts of Thanksgiving! 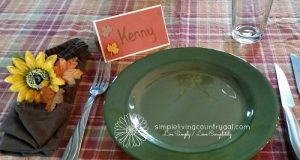 I LOVE making place settings and each year my challenge is to come up with something new and fun. There is simply no reason to purchase fancy place settings when you have Pinterest to scour for inspiration. The sky’s the limit and you can find ideas that range from fun and quirky to elegant and rustic. My favorites were ones I did a few years ago. It was more of a game than just a simple setting and my family had such a great time figuring out who was where. You can read more at Fun and Easy Thanksgiving Place Settings. Here are just a few more examples of super simple and incredibly cheap place setting ideas. All of these examples were made with scrap pieces of paper I had lying around the home. Remember when you are saving money the goal is to spend as little as possible. More often than not what you need you already own, so always go shopping INSIDE of your home before heading out to a store. Tip #8 Start making ice now. There are a few things I simply refuse to pay money for and ice is one of them. Start making your own ice now so you don’t have to shell money out for unnecessary if you want to save money on Thanksgiving dinner. Don’t have an ice tray? No problem, small plastic containers work just as well. Store ice in bags and store in the freezer until the big day. Tip #9 Turn that furnace down!! If you live up north, November can be pretty cold and there is nothing less inviting to guests than a cold home. Lucky for us we have all the fixins’ we need to keep our homes warm without even turning that furnace on. You might just be surprised at how baking a turkey for 3-5 hours can warm a home up, so why not let your oven heat that house for you? I know, silly tip but every penny counts when you are cooking and entertaining on a budget. Tip #10 Love the stuffing! I have an amazing recipe that calls for different types of bread. I start to save end pieces from loaves in early fall so I have a good supply come November. This is just one less (incredibly overpriced) item I need to purchase for our big dinner. Just toss your bread bits into a freezer bag and thaw when you need it. 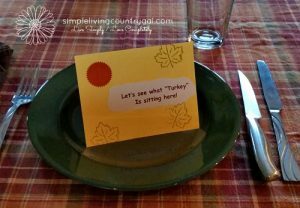 It always amazes me how just a little planning and preparation can save you money and headaches and learning to save money on Thanksgiving dinner is no exception. Thanksgiving dinner is meant to be enjoyed by everyone, yes even the cook! Get the stress done and out of the way so you can relax with family and close friends and be thankful for all you have. What do you do to save money on Thanksgiving dinner? Comment below, I would LOVE to hear from you! Hi Tracey! I love your tips! The place settings are simple and easy! 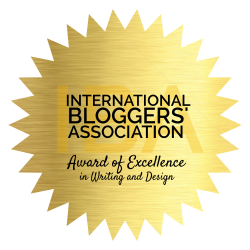 Would you consider sharing them at our weekly Dishing It & Digging It Link Party? We are live every Sunday @ 4pm.